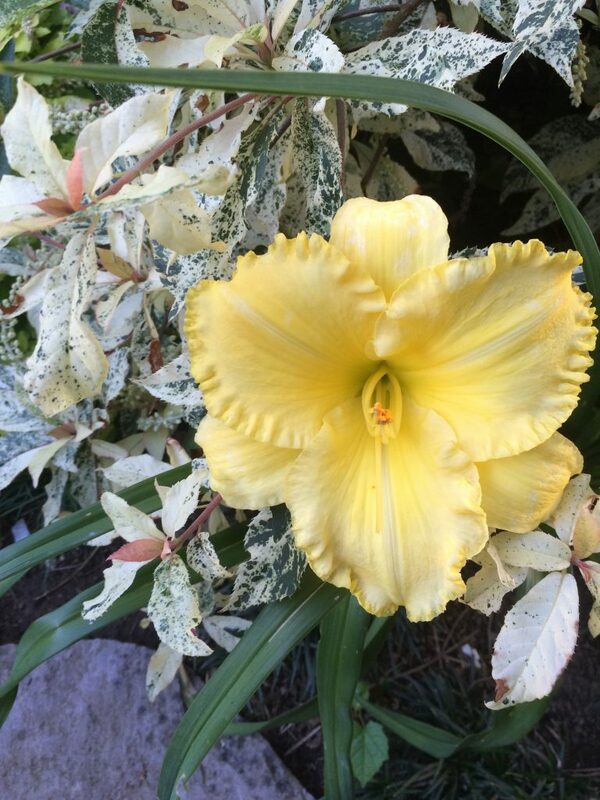 HUGE pale yellow flowers are amazing on this re-blooming compact Day lily. Flowers are each 5″ wide and open born on a 2′ tall x as wide perennial. Blooms June-August. Winter deciduous. Full sun and regular summer water. Not deer resistant. But hardy and long lived.